1. What does ADSL stand for? 2. What is ADSL Broadband? 3. What is Data/Base Cap? 4. Will ADSL Broadband affect my telephone usage? 5. How telephone calls are charged while online? 6. How do I pay for this service? 7. Where do I make my application? 8. What do I need to qualify for ADSL Broadband? 9. What are the benefits of ADSL Broadband? 10. What is the difference between Satellite Broadband and ADSL Broadband? 11. Can I couple my Satellite Broadband with ADSL Broadband? 12. Can I use my ISDN line to get the ADSL Broadband connection? 13. Why is my ADSL connection slow? 14. How do I get billed for my ADSL Broadband? 15. 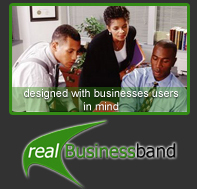 What is Real Image introducing as a new product? 16. What brand new services are being offered? 17. Is there a specific pricing for the 3G? Quite simply, ADSL Broadband is super- fast, always-available Internet. 3. What is Base/Data Cap? This is the amount of data you want to be able to transfer per month e.g. 1GB, 2GB. As soon as you exhaust this cap, you will need to buy a top up voucher. Your base cap is automatically reset at the begining of each calendar month. No you will pay one flat rate per month, with no per-minute telephone charges for surfing. 5. Are telephone calls are charged while online? A normal telephone bill be sent to you for your voice calls. 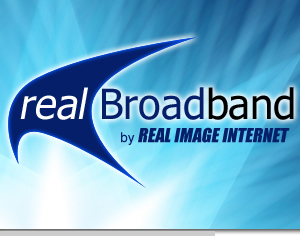 Real Image Internet will act as a one-stop shop on behalf of all our members that will be interested in upgrading their current dial-up services to ADSL. Simply contact us and we will submit all the necessary applications on your behalf. At the Real Image offices. You can send a request to our office via our contact us page. You will need to have an existing standard telephone line, you will need to be in an ADSL – enabled area to qualify (closer to the exchange), your PC, an ADSL modem and an ADSL line. · Lightning fast internet and down load speeds. · Continues access. ADSL is always on which means no need to dial up every time you want to connect to the internet. · The freedom to surf and talk on the phone at the same time. · To pay a single flat monthly rate. 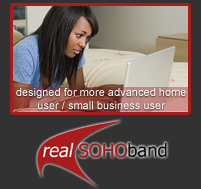 · To surf up to 20 times faster then a standard dial up modem. 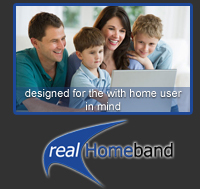 · New customers can buy Real Image’s new ADSL Broadband all inclusive bundles. This means that you pay Real Image for the data cap subscriptions as well as for the line rental- all in one convenient bill. 10. Can I use my ISDN line to get the ADSL Broadband connection? This will not be possible your line will need to be converted back to an analogue line in order to qualify for the ADSL Broadband connection. 11. Why is my ADSL connection slow? - The line quality may be poor and as such the ADSL connection communicating at a slow speed. To test your connection speed make use of the speed test tool. 15. The real3G Network together with new exciting services powered by MTN. 16. Mainly faster internet than the normal ADSL broadband with other capabilities such as video/ audio streaming on the internet.